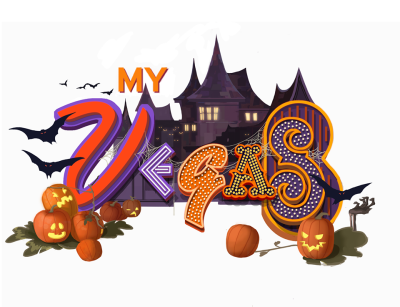 Halloween has come to the MyVegas Strip !!! Fountains overflow with orange goop, and the usually beautiful trees are twisted and gnarled. Fortunately, this weekend you can get Double XP Points for playing the MGM MegaStars Slot Game, which should, hopefully help you overcome any sudden fear of pumpkins that may arise.